Song of the day: Brian Hoffer – "Psychoanalysis"
The latest artist in our request-a-thon is Brian Hoffer, a chap from the land of Americans. 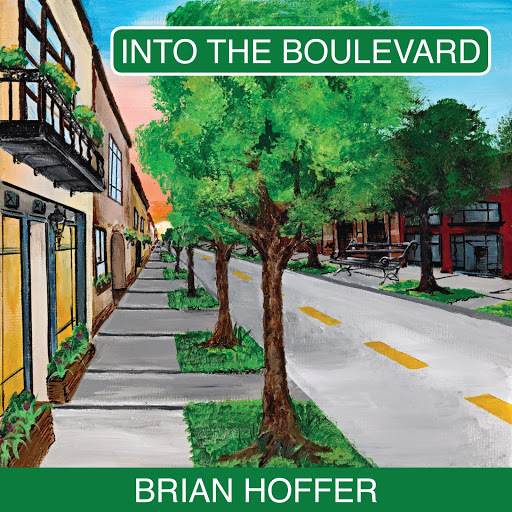 Brian’s album, Into The Boulevard has been described as “traditional power pop”, but I wouldn’t go that far. It’s pop, and it’s pleasant, but it’s not power pop in the way that most power pop is (cf. Cheap Trick, You Am I, The Wellingtons, Tsar, et al / etc / Et tu?). Although Brian’s music is thoroughly pleasant, it’s not anonymous. If you were given a truck load of very pleasant pop songs to listen to, you’d be able to tell which ones were Brian’s immediately. What sets Brian’s songs apart from other pleasant pop artists is Brian’s voice. It’s, er, ah, um – how can I put this diplomatically? – it’s unusual. I must admit that when I first heard Brian’s “Psychoanalysis” I laughed out loud, as Brian sang about the possibility of needing psychoanalysis, complete with “ooh-oohs”. One reason I liked it so much is that I thought the subject matter was refreshingly novel, as I haven’t heard many songs about psychoanalysis. (I’ve now heard exactly one.) Why aren’t there more songs about psychoanalysis? You are currently browsing the archives for the Brian Hoffer category.